WhereParentsTalk was created by parents to help educate and empower other parents by sharing first-hand experience, proven tips and expert advice to help navigate parenting from conception and birth to raising children. Founded by Liandrea Productions Inc., in 2004, WhereParentsTalk.com has won awards for its baby-care (Bringing Baby Home) and nutrition for baby and toddler (Yummy In My Tummy) DVDs, which are used as teaching tools in Canada, the US, Europe and Australia. Our online community of parents share valuable knowledge and information on raising happy, healthy children, through blogs, video interviews, podcasts and social media. Chock-full of truth. Universal. Timeless. “It takes a village to raise a child.” It does. It really does. Now so more than ever. The crushing, shocking, heart-ripping disaster that is the deaths of 16 members of the Humboldt Broncos junior hockey team and its staff this month following a bus accident, has further underscored this important, enduring truth. Community is a cornerstone in parenting. Community shaped how they became who they were. It took a small army of people with varying perspectives and experiences — teachers, coaches, mentors, neighbours, classmates, friends, acquaintances, relatives and others — to raise those 15 boys and one girl, the team’s athletic therapist who also perished. Their parents, undoubtedly, led that community effort to raise each child. But it takes so much more than a mother and/or father to help an individual grow, develop and prosper. The concept of community and a village in child-rearing cuts even deeper in this story. The comm unity of Humboldt, Saskatchewan — smack dab in the centre of Canada’s endless-sky prairie landscape, numbers around 6,000 people. A modestly tiny community where it seems just about everyone knew everyone. Face-to-face interactions were the norm and not the exception for people who lived here. They saw each other and built relationships over time at the hockey rink, other public places, as neighbours, members of the same faith group, co-workers, grocery story acquaintances, etc. How critically important that community, that village and those relationships have always been and even more so since the events of Friday April 6th. For parents who live in urban areas within bustling cities armed with smartphones and social media networks, and perhaps even a nanny or babysitter — what does your village look like as you work to raise your child? Do you even have a tribe to turn to? Or, as is increasingly the case these days, in my opinion, are you so ‘busy’, rushed and stressed that you are more apt to use technology to text your next-door neighbour than walk over and have a conversation with them. Are you of the belief that ONLY you know best when it comes to your child — along with google, perhaps? Is surrounding yourself and your child/children with tangible, meaningful relationships within your immediate community important to support you in your role as a parent? Do you expose your child to different people within your village, from whom they can learn and grow and from whom YOU as their parent can do the same — share experiences, engage in honest conversations, exchange both good and bad real-life stories? Would any or all of the above help shape your perspective and approach as a parent? Britain named a “Minister of Loneliness” this year — to tackle the ‘epidemic of social isolation’ in the UK, following findings by the Cox commission, which stated: “Young or old, loneliness doesn’t discriminate. Throughout 2017 we have heard from new parents, children, disabled people, carers, refugees and older people about their experience of loneliness.” According to an article on this subject in the New York Times, “Government research has found that about 200,000 older people in Britain had not had a conversation with a friend or relative in more than a month. What is technology and social media’s role in parenting and what should they be? Consider DVD players in mini vans, iPads in the hands of toddlers, youth hunched over and mesmerized by smartphones, the almost-fanatic voyeurism that ensues through videos, photos, that sometimes vanish as quickly as they are posted, but always leave a message behind. And then, there is this brazen admission — “Former Facebook executive: social media is ripping society apart” — captured on YouTube. The growth and evolution of society has broadened and shifted landing at what is dubbed today’s ‘modern family’ replete with decidedly distinct characteristics including: single parent, double income, divorced, blended, co-parented, etc. Those of us who grew up with the term ‘nuclear family’ are on the cusp of entering the jurassic era, though the term — which is used to describe two parents (mother and father of opposite genders, who are married with dependent children and living under the same room — was not THAT long ago. Throw all of this into a pot and where do we land? One question. What does your real-life, physical and tangible community look like and how are you using it to help nurture your growth as a parent and that of your child. Perhaps turning that mirror to peer inwards may inspire important reflection. Despite what it may yield, is a parenting selfie not worth taking? Perhaps it’s the journalist in me, wired and trained to ask questions. To question everything. Analyze. Ponder. Reflect. Then ask more questions. In no aspect of my life have I ever asked more questions of others and myself, than as a parent. And thank goodness for that. I would not change a thing about that strategy. Thank you Humboldt for giving all of us food for thought and an example to learn from as mothers, fathers, sons, daughters, grandmothers, grandfathers, relatives, etc. Raising a child is hard work. The village, while it may look and feel different today, is still absolutely necessary. Before, during and after you bring a child into this world. Research, education, increased support service offerings, budgets and fundraising are all areas of intense focus when it comes to addressing the onslaught of mental illness — be that in the young or old. And as this machine moves forward, there appears to be one question that isn’t grabbing the attention it likely deserves. What is the root cause of this incredibly sharp increase in mental illness? There certainly must be many people studying the question from a clinical perspective and lay people who have endured the clutches of mental illness who have their own reasons for why it happened to them, their spouse, partners, or children. And there certainly are those individuals for whom mental illness was borne from a clear medical diagnosis. But the core questions remain — where is it coming from? Why seemingly all of a sudden? What is at the heart of the issue? Mental illness is most certainly not a new construct or concept. Why so prevalent now? One of the most striking things about this subject matter is how far this serious issue has evolved in a relatively short period of time. As a young journalist in the mid-90s and 2000s, my colleagues and I were NEVER allowed to use the ‘S’ word. Even if the police, the fire department, the family, yourself — even if the entire world knew that the cause of a death was suicide — reporters were never permitted to utter the word in their script, stories, voice-overs — in anything. It was an unwritten but well-understood rule. There are parts of me that wish this was still the case, truthfully. In the era of ‘everything being out there’, of 13 Reasons Why, of citizen journalism, infotainment and sensationalized pseudo-journalism, unfiltered and raw social media — the ‘S’ word is no longer sacred. It’s in your face and mine. Pinning down the root cause or causes of mental health is/are pivotal. It/they will ultimately enable a more proactive, deliberate approach to addressing the issue, rather than what we seem to be living now — scrambling in reaction — once the damage is already done. Some of the potential root causes of mental illness — from anxiety, panic and eating disorders to depression, addiction, etc., — that are NOT diagnosed as a clinical medical, deserve our attention. The increased lack of face-to-face communication and human connections mean fewer outlets to have meaningful conversations with, share feelings, exchange ideas, read body language. see signs, relate in ways only humans are capable of. An increased reliance on devices and less on human contact in turn tends to fuel greater isolation, less self-care and more time online surfing or skimming, rather than discovery about oneself or the people around them and a subsequent evolution. 3. Keeping up with the Joneses. This could easily be classified as a chronic condition for many. The increasingly competitive, bottom-line-driven society we live in can infiltrate even the most rationale of minds — which can suddenly find themselves fixed on what others think of them, comparing themselves and their ‘stuff’ to those around them and simply losing sight of their priorities. 4. Lack of a shared common goal. This insight was shared with me by a fellow parent, recently. And it’s so true. Society today, lacks a common goal. By and large, people seem to be in it for their own personal gain, rather than working together as neighbourhoods, communities and a shared voice. It makes a difference when one is able to think of others before themselves. Suddenly kindness, empathy, compassion and humility enter the equation. 5. An inability to prioritize within priorities. Yes, we are all busy. We seem to derive pleasure in comparing “busyness.” What are we busy doing, exactly? Prioritizing within a never-ending list of priorities is challenging but necessary in order to stay focused on and potentially achieve one’s goals. Somehow, each of us can and do find time for things that are important to us, don’t we? Knowing what is the most important of those important things, however, can make a marked difference. It would be great if governments, using our hard-earned tax dollars to create a society they think we want — could think proactively, rather than reactively. Rather than constantly opening up the vault to support the result, how about proactively supporting society up front — eg. new and expectant parents, would be first on that list for me. Then maybe, just maybe, we wouldn’t need to increase budgets for crime-fighting, mental illness and the like. These societal issues certainly wouldn’t disappear, but perhaps they would not increase either. Are you in a crisis? If you need help, contact your local crisis centre. If you know someone who may be having thoughts of suicide, visit suicideprevention.ca to learn how to talk about suicide with the person you’re worried about. Originally appeared in HuffPost Canada. The story of Christine Archibald’s final moments are wrenching, plain and simple. Not ONLY because she is Canadian. But because of the way she died. How she chose to spend her short life. And the tangible way her family wants everyone to remember her. The 30-year-old from B.C. died in her fiance’s arms — struck down by a careening van on the London Bridge — presumably the work of terrorists. 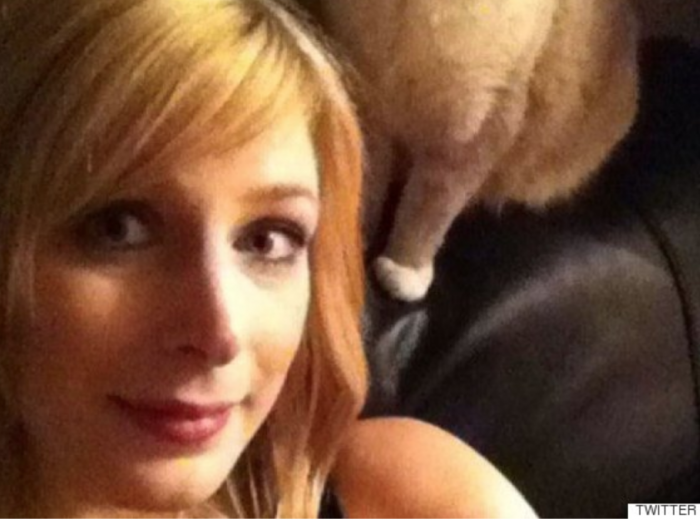 Chrissy, as she was commonly known, was a social worker, caring for the homeless and people with addictions. Two words that appear repeatedly in quotes about her. Two traits that are so lacking in the world today. Two important characteristics that parents should be teaching and modelling to their children — for their own lives and for the communities in which they live. In the midst of unimaginable shock and pain, Chrissy’s family released a statement whose message should move us and be seared into our psyche as individuals and as a society that continues to reel from brazen acts of outright hatred and the wanton disregard for human life. Value. Respect. Community. Volunteer. Time. Labour. Donate. These are all important principles that children need to be exposed to from a young age, that should come automatically as they get older, because it is part of the fibre of their being. That’s because their parents — who are their first, most important and life-long teachers — have taught them these important lessons. At the same time, parents should be seeking these very values and striving to embody them in their children. Why parent from the sidelines? Too many parents in 2017 are on the sidelines, in my opinion. Pointing their fingers, judging others, offering their opinion when it is not requested, worried about what other parents might think. Letting devices, nannies, televisions, social media and others play a key role in raising their children — rather than rolling up their own sleeves and doing the hard work that is raising empathetic, compassionate, humble, respectful children. Yes, that’s right, it is HARD work, so if you are planning to have children and want to raise solid human beings, get ready to work for it. Just like professional athletes spend countless hours training, sacrificing, practicing, disciplining themselves. Just like physicians spend countless hours training, sacrificing, practicing and disciplining themselves. Just like just about any other profession which requires constant training, development, and attention — so, too, does parenting. Small acts of respect, kindness, compassion and empathy within each of our homes will go a lot further in stemming this ugly tide. The HARD WORK of parenting involves teaching children that there is more to the world than just them and their needs. Thinking of others first is an increasingly foreign concept these days, as is putting oneself in another’s shoes. Many parents find it burdensome to discipline their children, follow through on punishment, set parameters, say “no,” model respectful behaviour on a consistent basis, execute “tough love,” etc. But these are necessary and the very structure upon which raising good children is based. Sitting on the sidelines is tantamount to a lot of nothing. Getting up, being involved, taking action yields results. While Christine Archibald’s family somehow tries to understand the heinous act that ended their daughter’s life, another family also mourns. Tyler Ferguson, Christine’s fiance, and his family. “Last night in London my baby brother lost the love of his life on the London Bridge. In a split second his entire life was ripped away from him,” wrote Cassie Ferguson Rowe, Ferguson’s sister. Defiance in the face of hatred has been the natural public response in the aftermath of many of these increasingly brazen and disturbing acts. Small acts of respect, kindness, compassion and empathy within each of our homes, schools and our own communities will go a lot further in stemming this ugly tide. It starts at home. It starts with how we raise our children. It starts with how hard we are willing to work as parents. Preserving Christine Archibald’s legacy demands it. 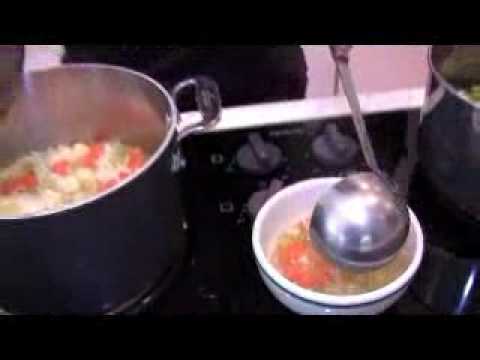 Lianne Castelino of WhereParentsTalk.com shares the world’s best and easiest chicken noodle soup recipe. Everyone needs to know how to make chicken soup and this is grandma’s surefire cold remedy. This Super Simple Chicken Noodle Soup takes 5 minutes to prepare plus 20 minutes on the stove. The result? One delicious pot of home made chicken soup. They seem to be sprouting all around us. Multiplying, it would appear, like rabbits. Defying age, culture, socio-economic status, demographic criteria, etc. And as we watch — often in disbelief, frustration or just plain anger — we wonder where in the world they come from and how in the world they do what they do with a straight face, without much apparent conscience and usually little respect or regard for those around them. There is no deep thinking, forensic analysis or other investigative technique required to determine what creates, causes or contributes to an entitled individual. Rock stars, politicians and professional athletes, among others, have handlers. Entitled individuals have enablers. Period, end of story. Take any example you wish — from the collapse of Wall Street and ensuing financial crisis of 2008 and beyond, to the Jian Ghomeshi case, a bully in the schoolyard, a parent who rules by fear, a less-than-competent colleague who somehow scales the corporate ladder — it’s a long and varied list. You can safely bet there is one common denominator. They don’t act alone. Their actions are not isolated. They move, sometimes stealthily, because they are allowed to do so. The path ahead of them is often clear or cleared by someone else. Their enablers clear it for them — whether these enablers realize that IS what they’re doing, are proactively participating or are merely reacting on the sidelines through inaction. Entitled individuals can bob and weave their way through life deftly in large part because those of us around them allow it to happen. We enable that action. We are all guilty of enabling in one form or another — however, small or large that enablement. It is rather gobsmacking when you see all the hallmarks of entitled creature-creation in parenting. You know the one. A lovely, normal, hardworking mother or father trying to do the right thing for their child/children. And then they’ll do completely irrational things like: debate marks with their kid’s teacher, call their child’s university professor to see about bumping up grades, corner their kid’s sports coach about more playing time (assuming the coach is irrationally not playing them) and otherwise make excuses for, dive in to save, defend without just cause — their child. There is a difference between advocating for a child with reason and appropriate rationale, and leaping in to save them when things don’t go their way. The latter is effectively sowing the seeds of entitlement. Yes it does. Likely never fun to go through, but necessary. Necessary to learn from, to appreciate the lesson learned and to understand the journey and process involved. If you want a kid to learn gratefulness and appreciation for what they have, they need to understand that journey. The myriad of unscrupulously and even honest people, those who selfishly bent the rules, had their behaviour justified or some other such combination — others who innocently stood by and watched it happen. When the onion got peeled back on what led to the financial crisis, a whole bunch of “fraudsters” emerged. How were they allowed to operate for so long, relatively unscathed? It wasn’t magic. As former CBC radio host Jian Ghomeshi became some kind of broadcast star, it would appear that he became judged by a different set of rules by his colleagues and bosses. The hushed tones, winks, nudges, sweeping-under-the-rug tactics — assuming they all existed — covered up what we’ve sadly come to learn about in sordid detail in the last several months. He was enabled. He became entitled. Absolute power corrupts absolutely. It’s not rocket science. The ensuing debate about what could have and should have been done will rage on at the CBC and in other places of work where entitlement through enablement happens daily but is yet to be exposed — be that in the media or some other public forum. The bottom line is what should have happened — red flagging from the onset and appropriate sanctions — did not happen. That did not happen for a host of reasons, not one of which will ever make a shred of sense to the victims with the red flags or future victims who may chose to keep their flags to themselves and avoid the red-face-inducing, complete public dressing-down that coming forward entails. This type of behaviour starts with small acts of letting things slide. The little things can and often do snowball into much larger, unfortunate acts that impact lives in profound and irreversible ways. It boils down, once again, to something all parents try to strive for, hopefully. When your kid does something wrong, there has to be appropriate discipline/punishment so they can learn right from wrong. Parenting 101. Basic. Not allowing that process of learning from mistakes, paying their dues, understanding consequences of their actions is effectively tampering with the natural order of things. So, why in the world are we surprised when these kids grow up to be adults who behave the same way? It’s only when they start to impede our progress that we begin to pay attention. The City of East Liverpool, Ohio was in the spotlight this week after its police department made the controversial decision to post a photo of an overdosed couple in the front seat of a van with a four-year old child in the backseat. The photo garnered international attention because pictures of minors are normally blurred out in such instances to protect their identities, but the police department chose to make an exception in this case to drive home a point on the perils of drug abuse. “We are well aware that some may be offended by these images and for that we are truly sorry, but it is time that the non drug using public sees what we are now dealing with on a daily basis” the city’s Facebook post read. 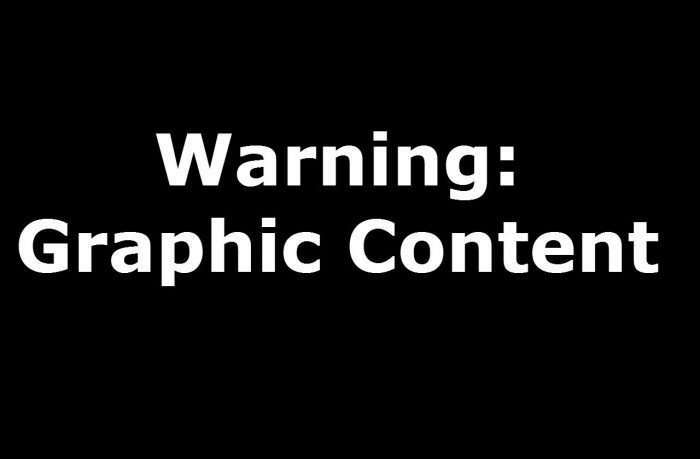 The heartbreaking photos, which were posted with a ‘graphic content’ warning, were taken during a traffic stop earlier in the week and show two incapacitated adults in the front seat with the young child sitting behind them. According to reports, the male driver pleaded guilty to operating a vehicle and endangering a child. The woman in the photo – the child’s mother – reportedly pleaded not guilty to endangering a child, public intoxication and disorderly conduct. She is expected to appear in a pre-trial hearing on September 15. What do you think of the police department’s decision to release the un-doctored photos on social media? Were they warranted in their decision? We now find ourselves at the end of the summer holidays and the start of the school routine is upon us. It is at this time of year that many parents are scratching their heads thinking about how to keep up with packing lunches and looking for ideas and inspiration to keep things interesting in the lunchbox. With working parents and extracurricular activities, kids are spending a lot of time outside of the home during the school week and are in need of nourishing foods to keep them going all day long. Keeping kids well nourished not only gives them an edge in the classroom but also gives them the energy they need to keep up with school and after school fun. Breakfast is great for filling bellies and providing much needed nutrients after a long fast over night. Plenty of research shows that breakfast is also key in promoting healthy development and contributing to children’s concentration and learning abilities in the classroom. Skipping breakfast makes it hard for kids to stay focused and concentrate throughout the morning as they wait for lunch. Choose containers that are easy to open, smaller children may have a difficult time with even the easiest of containers. Pack safe – don’t forget about food safety when packing lunches. Keep hot foods hot with the use of a thermos and cold foods cold by using ice packs and an insulated lunch box. Experiment with different grains as the base for lunch to keep things interesting. Try quinoa or bulgur mixed with black beans, red pepper and corn, top with sliced avocado (don’t forget a sprinkle of lemon juice to prevent browning) and some shredded cheddar cheese. These days kids are spending more hours away from home during the week. This scenario calls for additional snacks to prevent dips in energy. Again aim for 2 of the 4 food groups but consider packing larger portions or an additional snack for your kids to help fuel after school activities, especially when dinner is still hours away. Packing lunches and snacks doesn’t have to be a pain, get inspired by looking up recipes and ideas for snacks and lunches, involve kids in this process as it is more likely that they will eat the foods they have been involved in choosing and/or preparing. Keep things exciting by trying to include new foods and keep a list of the tried and true lunch and snack ideas and combinations to consult when you are at a loss for what to pack. Melinda Lamarche has been working as a Registered Dietitian for more than 10 years. After completing her dietetic internship at the University Health Network in 2005 she went on to complete a Masters degree in Public Health Nutrition at the University of Toronto. Melinda has experience working with Toronto Public Health and various Family Health Teams in the Toronto area. Melinda recently completed a Culinary program and is using her new skills to prepare yummy and healthy dishes for her husband, daughter and new baby. Inspired by Finland’s longstanding tradition of providing a safe sleep environment for infants to new parents, the Baby Box Company is now providing a certified Baby Box to expectant mothers and fathers across Ontario free of charge for those who register and complete the online form. 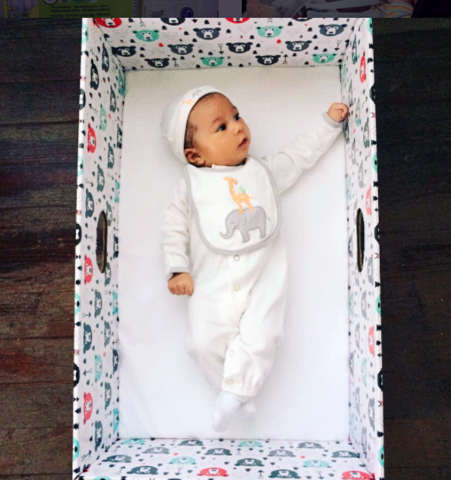 The Baby Boxes are usable up until six-months of age and arrive complete with mattress, waterproof cover and cotton sheet. In addition to the bassinette-style sleep space, the box includes a kit full of baby products from diapers to body wash, breast pads to teething toys. According to the website, parents who are expecting a child between August 1, 2016 and August 1, 2017 are eligible to sign up for the program. The company is expecting upwards of 145, 000 Baby Boxes to be delivered annually in Ontario through hospitals and various community agencies. Baby Boxes will be rolling out in provinces across Canada later this year.